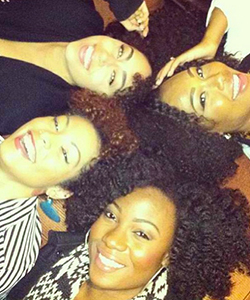 When the biggest hair care brand in the world makes a line of products just for curls, coils, and waves, we take notice! L’Oreal Paris released the EverCurl line of sulfate-free curly products and we loved them so much, we awarded them an Editors’ Choice award for best new line! If you haven’t picked up these products at your local store, check out what our video reviewers had to say, and take a quick look at our product reviews section. 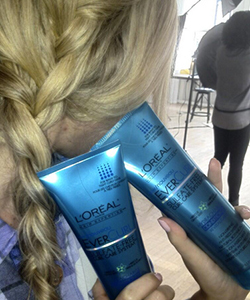 We reached out to some of our favorite top bloggers and vloggers to ask them what they thought of L'Oreal Paris EverCurl. Guess what – we filmed the whole thing! 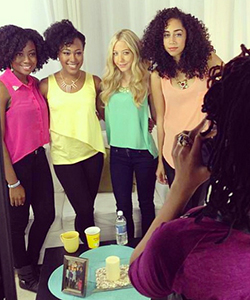 So some of the NaturallyCurly.com team flew from our home in Austin, Texas to New York City to meet up with the vloggers and the L’Oreal Paris crew! We were so excited to hit the Big Apple for this video shoot! 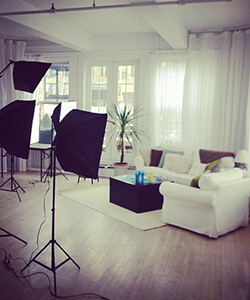 We found a super cute studio that we would transform into our shooting location. Big thank you to Vernonique at Chelsea Daylight Studios for being such a gracious host. 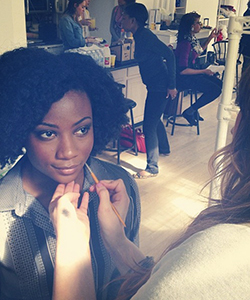 Her space is beautiful and was just right for our fun and flirty L’Oreal Paris EverCurl video shoot. 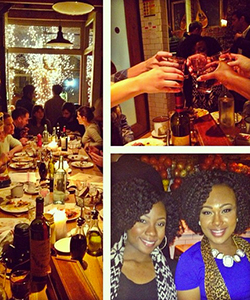 The night before the video shoot, we invited all the internet mavens to dinner at Aria Wine Bar in Midtown. It was the perfect opportunity for these curlies to get to know each other before the long day tomorrow. Laughs, photos, and hours of curly conversations were had. Fast friends! On the morning of the shoot, we put the finishing touches on the studio space turned cozy bachelorette pad and quickly briefed the hair, makeup, wardrobe, and camera crew. First scene, and…ACTION! We wanted to get a group conversation going about the vloggers’ different hair types and how they all found something to love about L’Oreal Paris EverCurl. Wavies crave more definition and less frizz. With curlies – second day hair is the motive! And for our coilies, moisture is imperative. Wavy guru Jacqueline Nicole Brown is one half of the YouTube duo The Style Kittens, where she talks style tricks and skinny tips with her friend and partner Lauryn Evarts. Jackie's also the talented designer of her own jewelry collection, JNB! Jackie’s video will be about her personal style, from her jewelry to her wavy tresses, she’s a glam yet easygoing Cali girl: can you say beachy waves? 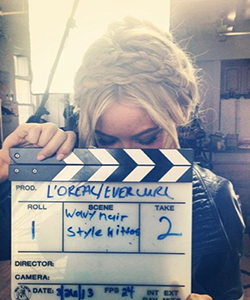 Stay tuned to see her Style Kittens Halo Braid! Shannon Boodram is one half of the YouTube duo Those Girls Are Wild – the online destination for girls who are “free-spirited, confident, charismatic, and straight hilarious.” A photographer and author in her own right, Shannon said she fell into curly hair vlogging. 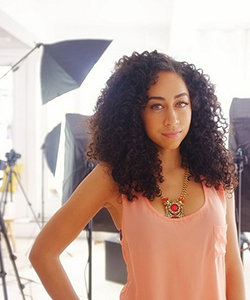 She noticed that her viewers and fellow wild girls needed curly hair tips and a great hair day can pump up your confidence. 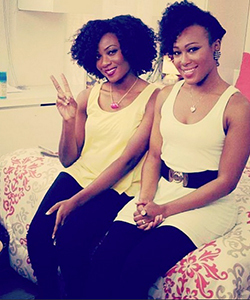 Carissa and Amber Gardner, aka NaturallyGG on Youtube, were our coily vloggers for the day! They may be sisters, but their hair is completely different, so they talked about their individual hair needs and the diversity and versatility of natural hair! Carissa is on track to become a CPA and Amber is in nursing school. Both professions require pared down hairstyles, but these sisters are anything but boring. In their video, they’ll teach you how they turn glam natural hair into a style appropriate for their particular professions without losing that spark! After 10 hours on set, it was a wrap! 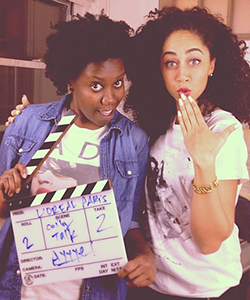 Thank you to L’Oreal Paris for the opportunity to engage our favorite YouTubers in the curly conversation. Our wonderful friend and videographer Natasha of Mane Moves TV did an amazing job with the camera work. We're so excited and can't wait to show you the finished product!